It’s a source of constant irritation that so many alcohol-oriented websites insist on a (often annoying user-unfriendly) age verification check before allowing to read about their products. There’s no legal requirement for this that I can see, and of course there is nothing to stop you lying. I would love to get into their data one day, just to see how many people like me routinely claim to have been born on the 1st January, in some far-distant year. 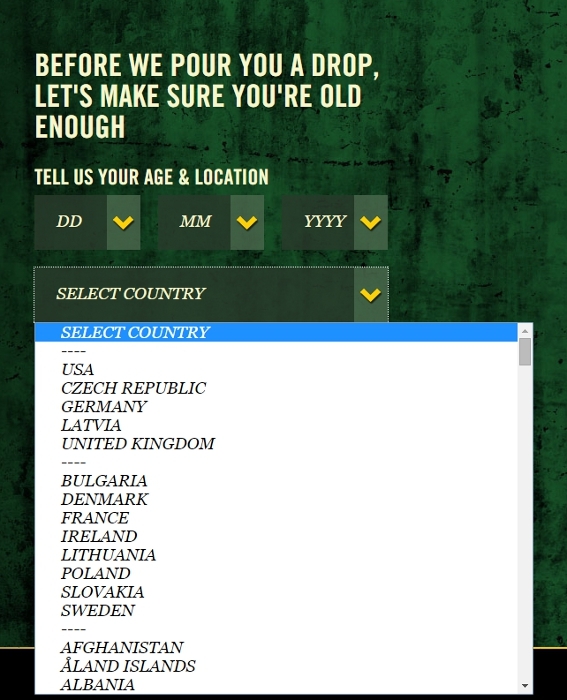 Curiously at least one site refuses to accept any answer that means you’re over 100 years old, which seems a little harsh on booze-loving centenarians. 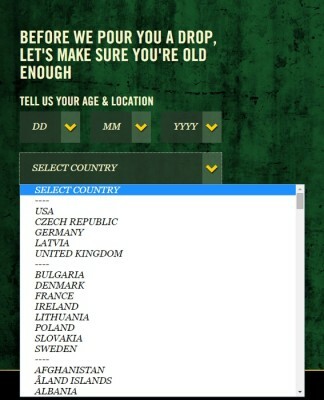 I mention this because Tullamore’s website does something rather odd when it comes to asking you where you live. It makes perfect sense to put likely countries near the top of the list. The USA and the UK are two of their biggest markets (although it’s a little surprising that their home country is only in the second list) and the Czech love of alcohol is well documented. But is Latvia really such a big consumer of Tullamore? Tullamore D.E.W. 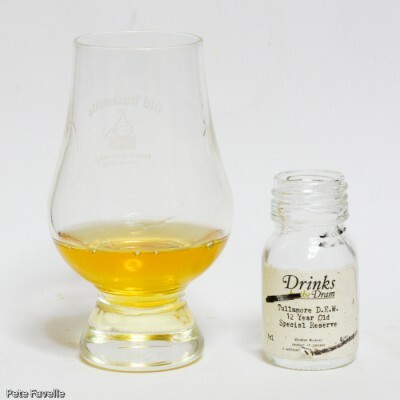 12 Year Old Special Reserve sounds like an interesting whiskey – a blend of all three types of Irish whiskey (grain, pot still and single malt) that have been matured in a combination of bourbon and sherry casks, for 12 to 15 years. The nose is quite light; lime cheesecake, with a sweet citrus fruitiness and a buttery biscuit base. Watered, the fruit fades and more maltiness comes through but not a great deal more. In the mouth it’s almost delicate; gentle honey sweetness that is slowly joined by woody spices. In the back is a slightly unpleasant bitterness, that’s a little like uncontrolled tannins. Water takes away the sweetness, leaving you with an unremarkable, slightly flat spirit. To be honest, I’m not loving this one – 1.5 stars.